Metal Master's founder and President, Jim Jensen started the business as a carbon steel sales company over 20 years ago with just an order pad, pen and telephone. 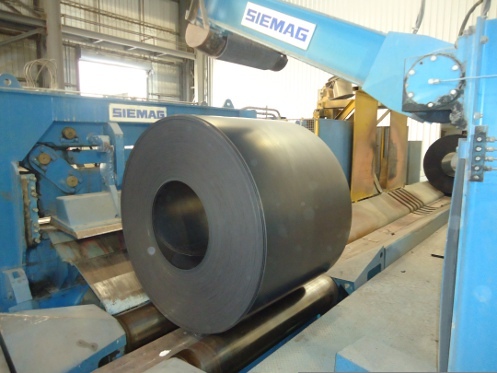 Today, with over a dozen employees and alliances with steel processing facilities located in the heart of the Midwest, our Chicago suburb based company has established itself as a reliable and cost competitive full service steel distributor. As a strategic partner, Metal Master focuses on solving customer's supply chain problems, offering long-term supply contracts, just-in-time delivery, stocking programs, logistics and quality technical support. Visit our Customer Solutions page for more information. Founded on principled values, our company's mission is simple: "Do what you say you are going to do". We are committed to building strong and enduring partnerships. This dedication allows Metal Master to be a preferred supplier and a single source for flat rolled carbon steel.